“Pop” stands for a variety of things, but above all for the “culture of the many”. In this symposium under the title “Van Gogh – Pre Pop”, the immense popularity of Vincent van Gogh forms the starting point for a discussion of how mass culture entered into his art in the past and continues to infiltrate it today. On the premise that the popular culture of today is part of a development whose genesis lies in the second half of the 19th century, looking at Van Gogh offers a unique opportunity to examine how a knowledgeable artist with a lively mind engaged with the products of new imaging technologies and with their pictorial worlds. This is the period when prints are proliferating – as albums, wall décor and magazine illustrations, sometimes with a socially progressive thrust. Vincent is both an avid collector and a discerning commentator of this popular visual material, of which he undoubtedly allows important aspects to flow into his work both at the level of form and content – even as his art becomes avant-garde in its orientation. The result, rooted in humanism but still explosive even today, is a synthesis of high and low. Thomas Hirschhorn sums it up in the formula “Van Gogh = l’art pour le public non-exclusif”. While museums, too, have today become part of mass culture, the symposium “Van Gogh – Pre Pop”, animated by the powerful sociocultural charge of the term “Pop”, aims to discuss current issues that, to date, have been omitted from an art history focused on the history of style and form. Among those taking part are curators, historians, experts and contemporary artists. The symposium will be a forum not only for expert studies and philological research, but also for spontaneous associative thinking and intellectual speculation. 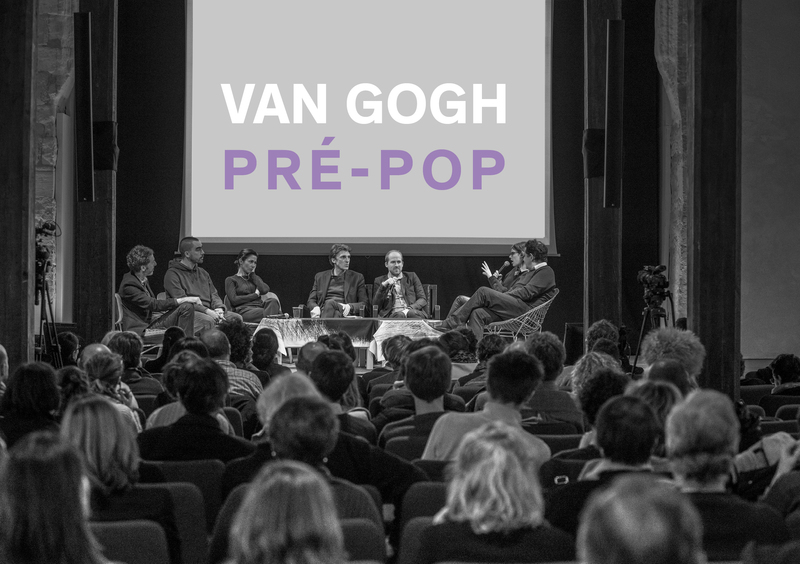 The symposium “Van Gogh – Pre Pop” (with simultaneous French / English translation) combines short presentations with podium discussions, in which aspects of cultural history as well as specific artistic approaches and practices will be the subject of lively debate. Mark Alizart: Author and philosopher, he has lately published Informatique céleste (Puf, 2017), Paris. Pacôme Thiellement: Author and writer notably on pop music, comics, poésie maudite and TV series, Paris. Fabien Vallos: Philosopher, publisher, curator and author. Professor at the École Nationale Supérieure de la Photographie in Arles.